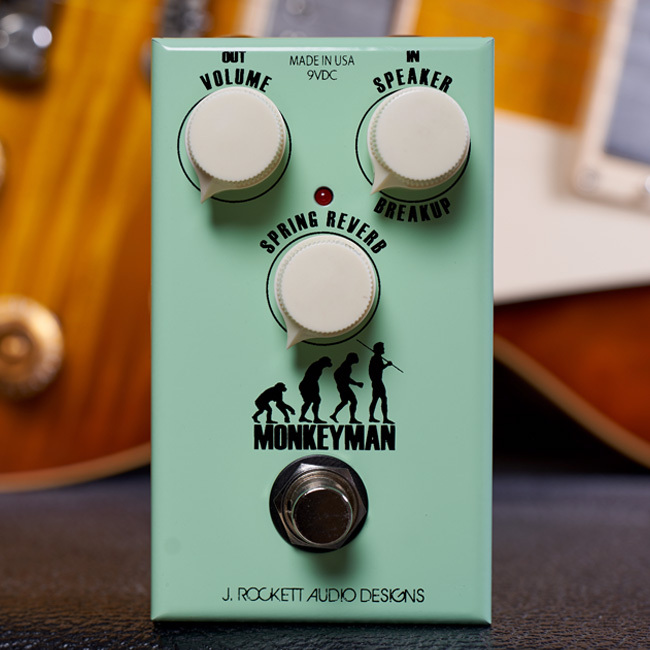 J. Rockett Audio Designs has announced two new pedals this week: the Monkeyman Overdrive and a limited edition of its popular Archer model, modded to personal specifications of Mr. Jeff Beck. The Monkeyman, according to J. Rockett, is essentially a vintage Tweed circuit designed specifically to compress in the manner of a '50s Fender amp. It gives you hefty dose of vintage lead flavor for your next Steely Dan or Eagles jam session. There's even a "speaker breakup" knob to dial in your preferred level of crunch, with an anachronistic Spring Reverb section. Actual Fender Tweed amps didn't have onboard reverb circuits, but the Monkeyman poses the question: What if they did? 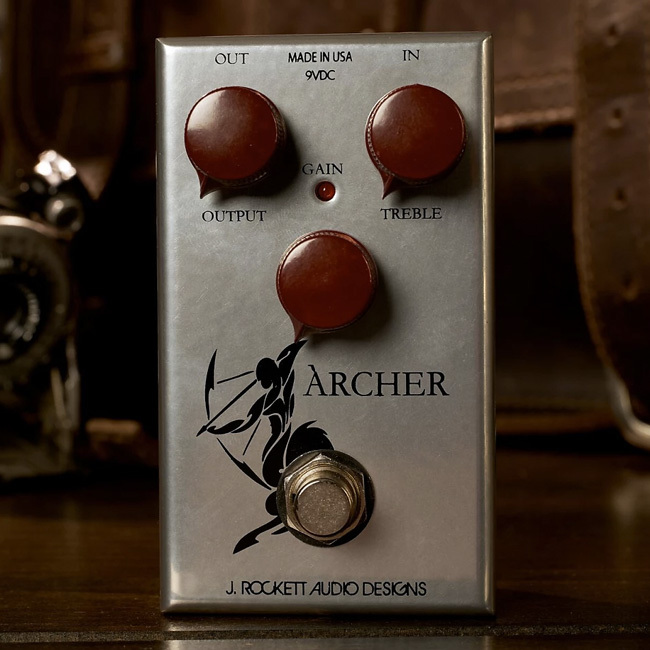 Also new from J. Rockett is a limited edition Archer Overdrive modded in the exact same way as the one Jeff Beck has in his touring rig. The normal J. Rockett Archer and IKON variant are based on a "mythical overdrive" and consistently rank as some of the most popular drive pedals on the boutique market. This latest edition is available exclusively on Reverb and per J. Rockett, the silky lead tone afforded by this mod is what "...made Jeff Beck retire his original 'Horsie' in favor of the Archer."